on Aug. 12, 1904, a son arrived. Baby Alexei seemed healthy, but when he was six weeks old, he began bleeding through his naval. The blood could not be stopped. The horrible truth – hemophilia! This was kept utterly secret from the Russian people. 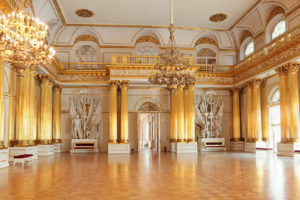 Alexandra had unknowingly brought a fatal flaw to her marriage – a recessive gene for hemophilia, inherited from her grandmother, Queen Victoria. Enter the filthy (in every meaning of the word) monk, Rasputin. He could stop the bleeding. His mysterious technique is now known as bio-feedback. With this power, Rasputin rose to immense power. 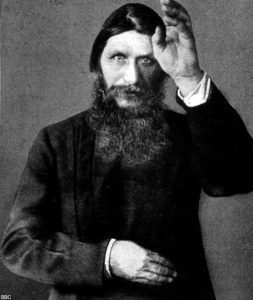 The Russian people, kept in the dark about the Alexei’s deadly problem, began to hate Rasputin. When he was murdered, it presaged the end for the royal family. They were executed – shot – in a cellar on July 17, 1918. Did they all die? Witnesses said no. When the bodies were carried out of the cellar that night, one of the daughters sat up and was clubbed on the head. In 1993, graves were found in a remote part of Siberia. DNA testing was clear: nine bodies – five Romanovs, four servants. Two children were missing! Anna Anderson spent her life claiming to be the youngest daughter, Anastasia. Was she? Some members of the Russian royal family thought so. Her ear and pictures of Anastasia’s ear – which had an anomaly – were identical, as was their handwriting. Anna died at 88 in 1984. After the Romanov’s grave was discovered, DNA testing ruled out Anna’s claim that she was Anastasia. But whose DNA was it, really? Anna’s? 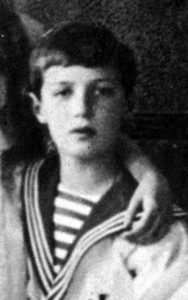 Was there a clear chain of evidence for Anna’s DNA during those 11 years after her death and the discovery of the Romanov bones?